Smart stick with pure organic tea tree and rosemary oil hides and helps dry out imperfections. First tone down redness with green shade. Then conceal with beige shade. I was looking out for a concealer online when I came across this product. I needed a concealer that would help in not only concealing dark spots and blemishes but also heal them. This Oriflame stick claims to contain tea tree oil. We all know the benefits of tea tree oil for treating acne. Without second thoughts I bought this one and I’m glad I did. The packaging is attractive, sturdy and travel friendly. The stick has two shades. One is beige and the other is green. The beige shade will suit most Indian skin tones, especially those having a medium skin tone. I wish this product was available in more shades. It has a mild fragrance which is not bothersome at all. The beige shade of this concealer provides medium coverage. Too much of it can give a cakey look. The green shade effectively tones down redness. Once I had a very bad breakout. I used the green shade of this concealer to tone down the redness and then I used the beige shade over it. I had it on for around 6 hours at work. When I came back home and washed away all the makeup, I noticed that my pimples had drastically reduced in size. The redness had disappeared. I was amazed. I also used this concealer (the green shade) overnight and in the morning it had effectively dried up all the pimples. This is the best concealer ever! At such an affordable price, it is worth buying. Those of you having sensitive and acne prone skin should give this a try. I had a question: Oriflame products are known for causing breakouts, did this one give you any? Thanks!! 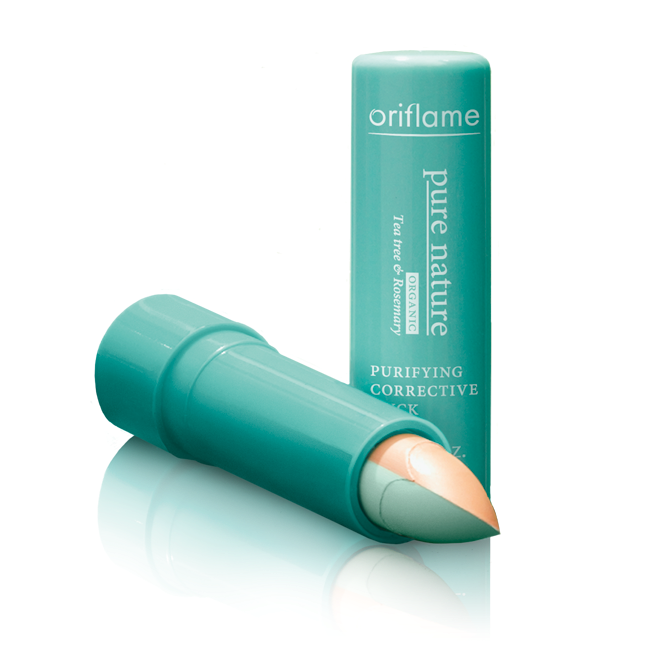 This is the only Oriflame product I tried and this one did not give me any breakouts. I wanna buy this product?? Hi Sunaina, you have to order this product through an Oriflame Representative. Hey Neha! This one is quite good. Give it a try!